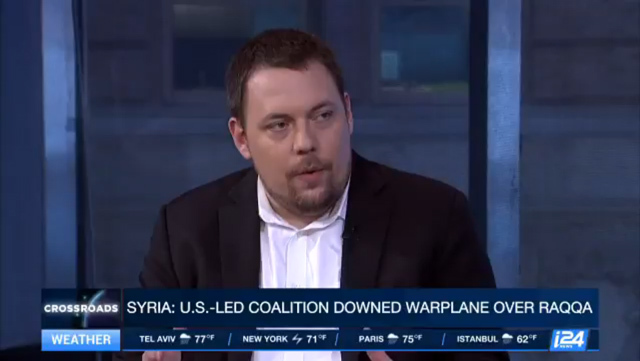 On June 19, Middle East Forum director Gregg Roman was invited to appear on I24News to discuss the downing of a Syrian aircraft by the U.S.-led coalition near Raqqa. Gregg, what do you think those next steps should be, especially in light of the fact that there is progress being made to take Raqqa, and potentially an increase of raids and attacks? As ISIS gets itself removed from the region, we see that vacuum being filled by Iranian-backed militias, the Syrians, and other Russian-backed forces on an east to west axis, going from Tehran all the way to the Mediterranean Sea. And the U.S. strategic proportional response has already been declared. 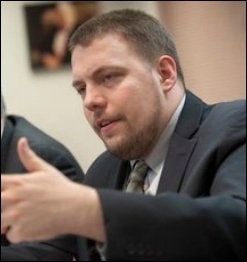 They want to create a north-to-south axis of moderate Sunni and Kurdish fighters, starting in the three provinces of Iraq where the Kurds have control, moving all the way down the Syrian and Iraqi [borders] ... to Al-Tanf and to the Jordanian border. – As far as Mark's point, though, do you think that every time a U.S. aircraft is painted, either by a radar system or by a surface-to-air missile system on the ground – and by 'painting' we mean that ... radar is essentially hitting them – that there should be some sort of response? I think those systems that paint American aircraft should be taken out.